Building history, one brick at a time! Daniel Island Historical Society Vice President of Programs Chris Frisby shakes hands with guest speaker Cary Briggs following his presentation. 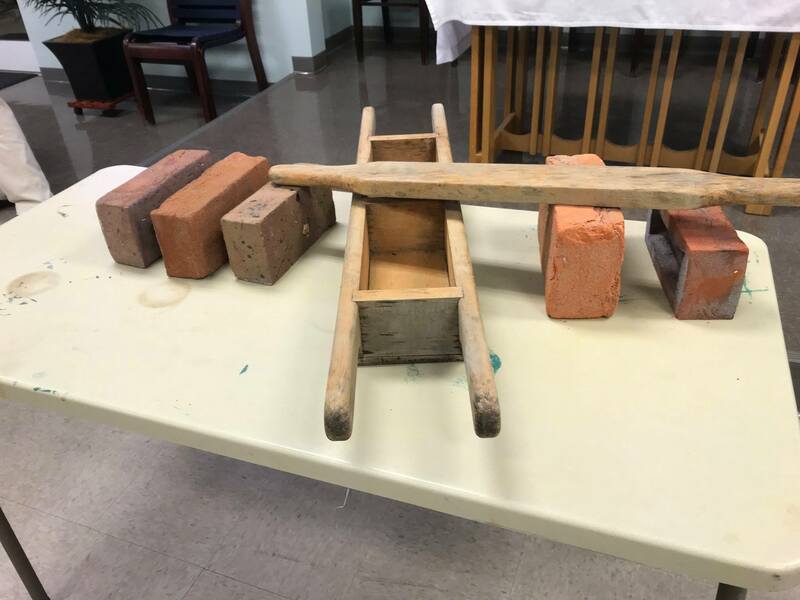 This wooden form, displayed at the recent DIHS meeting, is used to shape clay into bricks before they are fired. 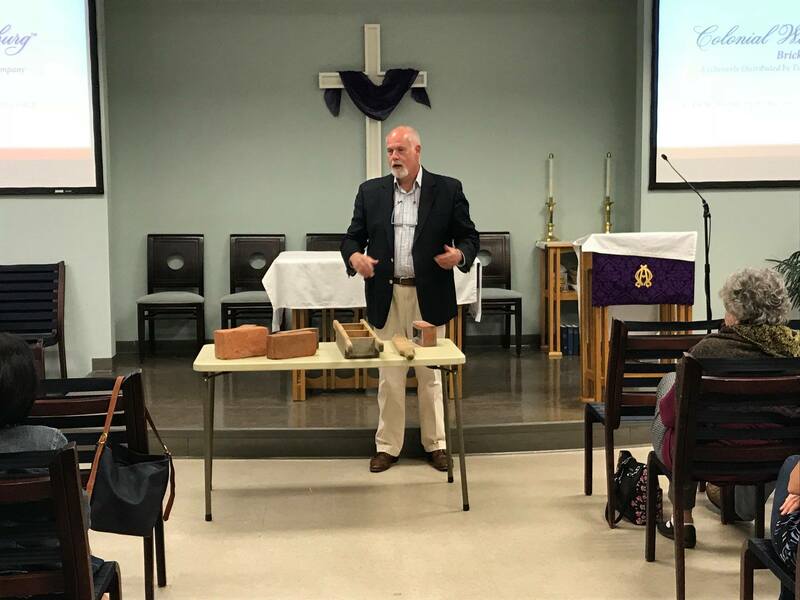 Southwick “Cary” Briggs used his time as a guest speaker at the recent DIHS program to discuss the craft of brick-making. Briggs works in consultation with places like Colonial Williamsburg, The American College for the Building Arts, and other institutions in creating period-correct bricks using the historic techniques of the Colonial days. 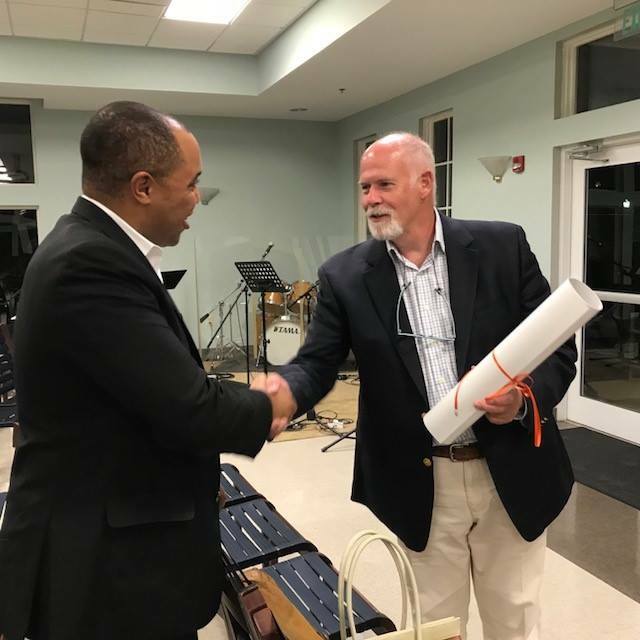 The Daniel Island Historical Society offered up an informative program on the history of brick-making at the organization’s February 20 meeting at Holy Cross Church on Daniel Island. Serving as guest speaker was Southwick “Cary” Briggs, whose firm, Tidewater Brick Company, specializes in producing period-correct bricks.